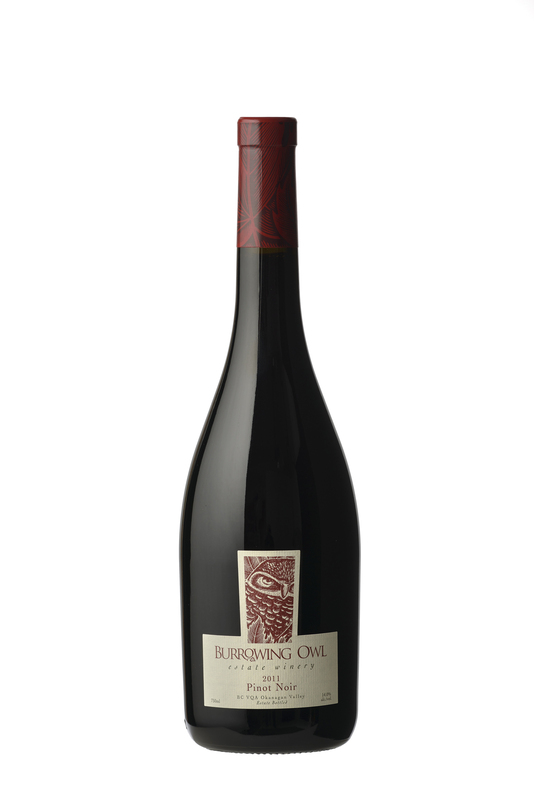 This wine shows the bright, red fruit side of Pinot Noir with lots of ripe cherry, baked strawberry and prune plum notes along with some complex subtle earth, five-spice and pipe tobacco. The palate is soft and silky with elegant light tannins and waves of black cherry, blueberry, strawberry, earth, mineral and slightly meaty notes that linger on a long finish.This should cellar well for 5-8 years revealing further complexities with age.The flavours would pair well with quail wrapped in pancetta while the soft silkiness would also be a nice foil to spicy lamb sausages. — Rhys Pender, Master of Wine. The 2011 growing season turned out to be, on average, one of the cooler seasons in recent history. We are really excited about this vintage and are expecting some unbelievable wines. After a cool and wet start, August and September delivered some of the highest growing degree numbers in history and vintners that waited long enough to receive the benefit from these days will be as excited as we are. 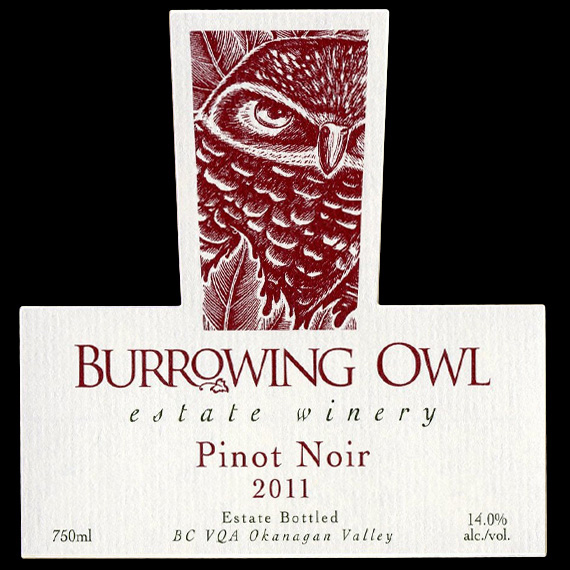 The grapes for the 2011 Pinot Noir were hand harvested early in October from 2 blocks at Burrowing Owl Estate Vineyard.The fruit was hand sorted, de-stemmed and slightly crushed into stainless steel tanks for fermentation. The fruit was left at low temperature for 3 to 4 days, heated to 18°C and then left to start fermentation on its own. Fermentation peaked at 32°C. During fermentation, we did daily pump-over's and delestage. At the end of fermentation the wines were left on the skins for a period of time. After pressing, the wine was transferred into barrels for Malolactic Fermentation (MLF).The wine was racked after MLF and then aged in barrel for 9 months: 33% new French and American oak.The wine is unfiltered and unfined for maximum flavour.